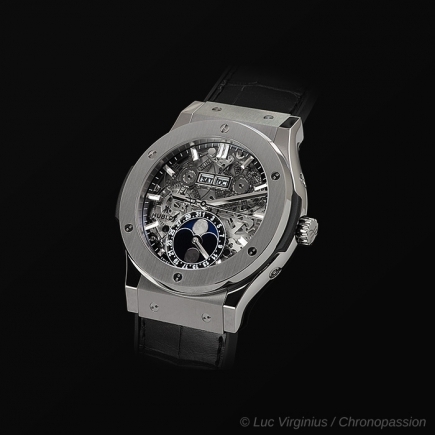 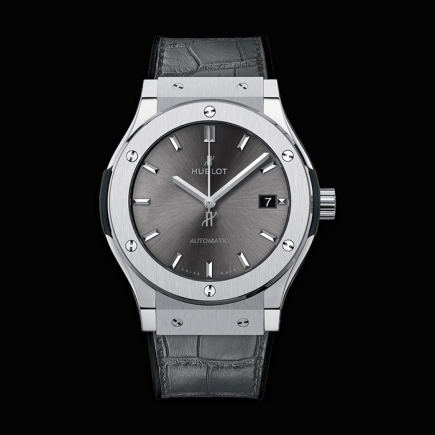 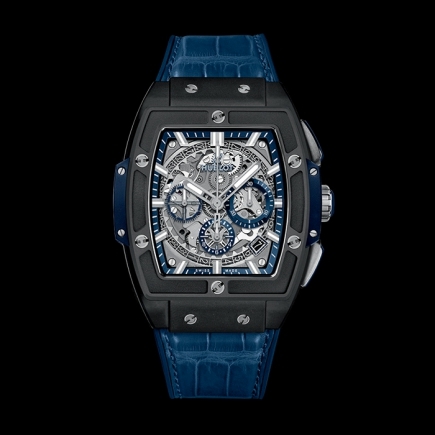 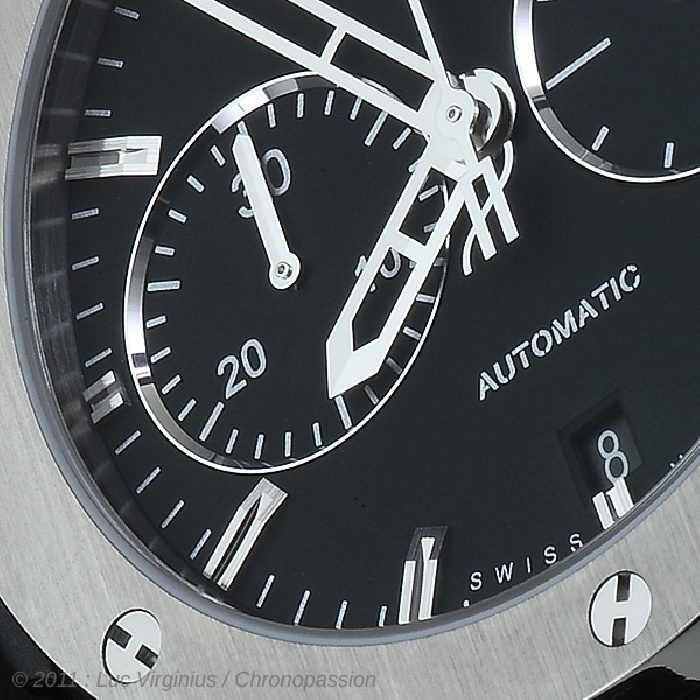 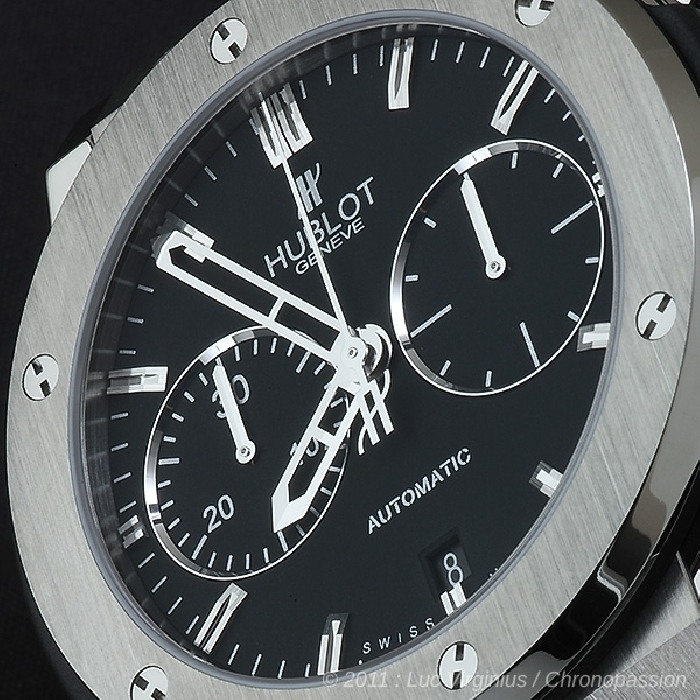 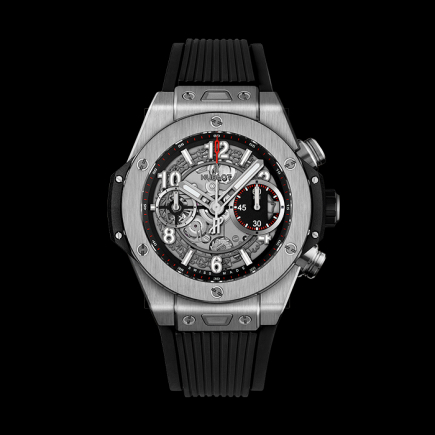 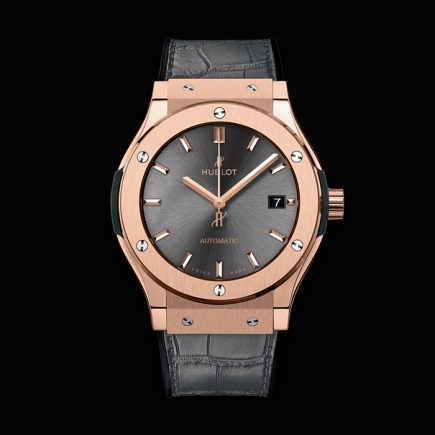 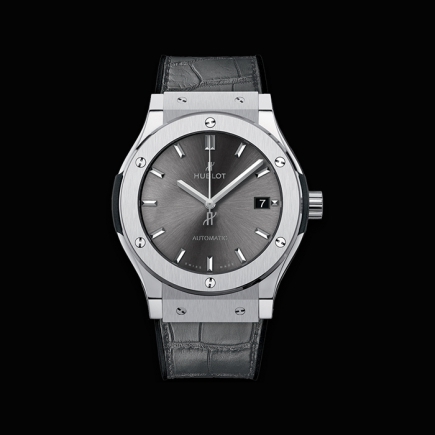 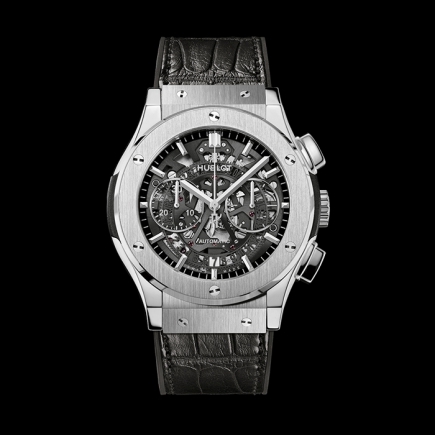 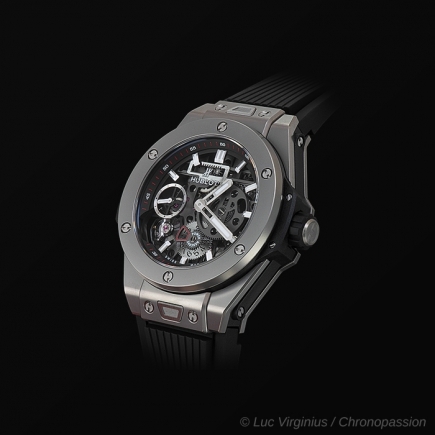 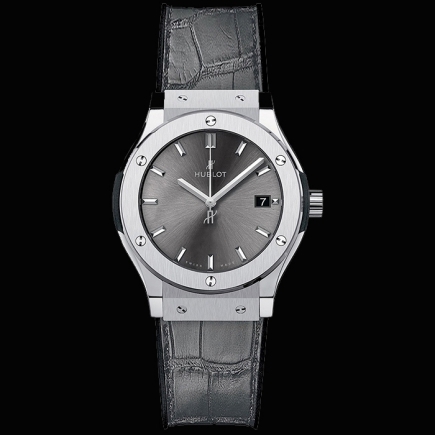 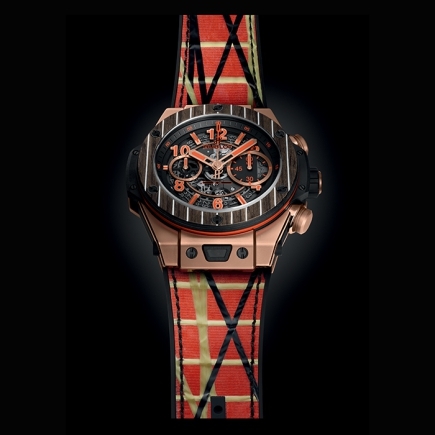 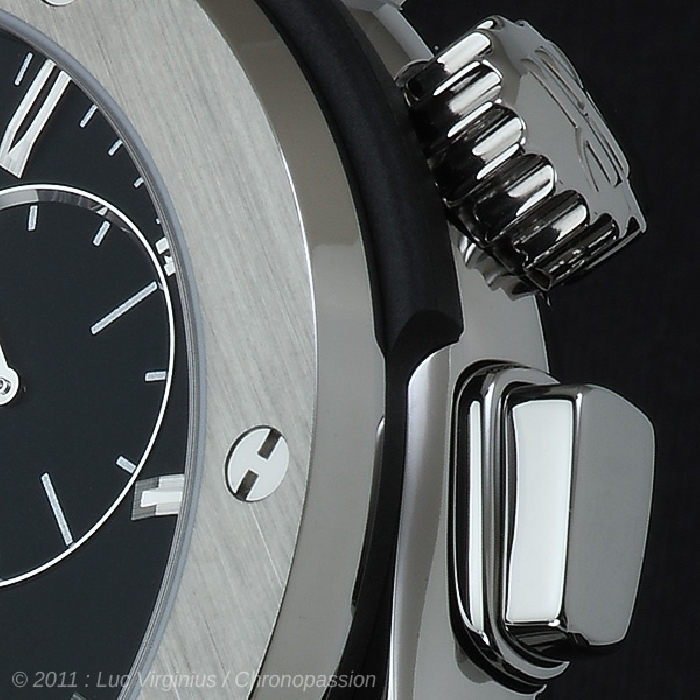 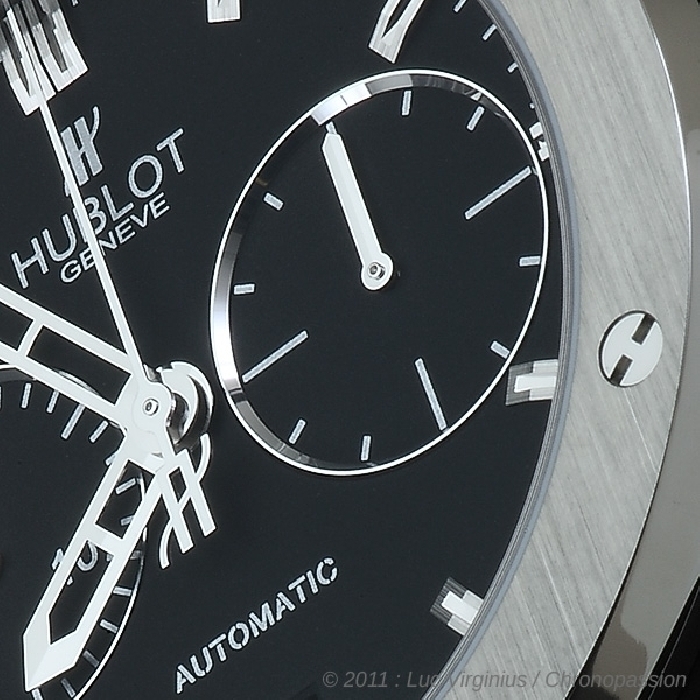 For the very first time, Hublot presents a Classic Fusion equipped with a chronograph movement. 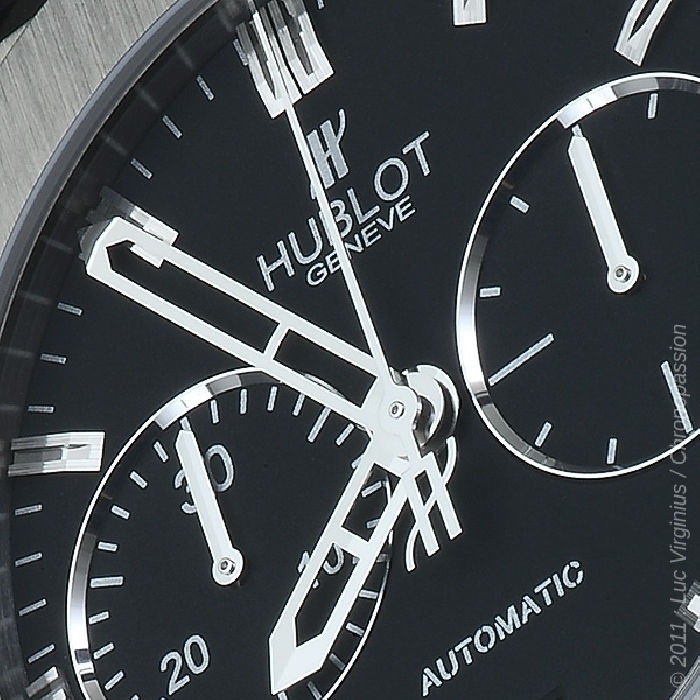 With a matt black dial, two timers, baton indices and a date window at 6 o'clock,this brand new piece is 45 mm in diameter and equipped with a HUB1143 automatic mechanical movement. 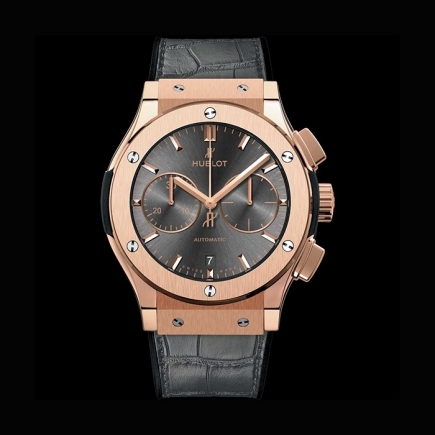 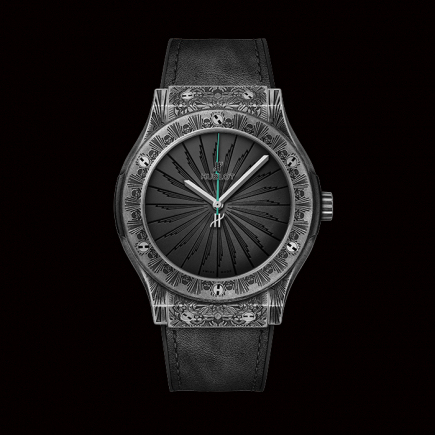 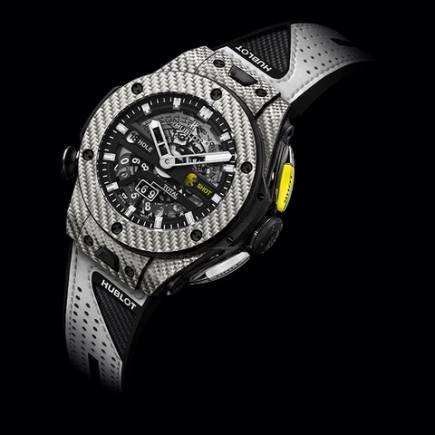 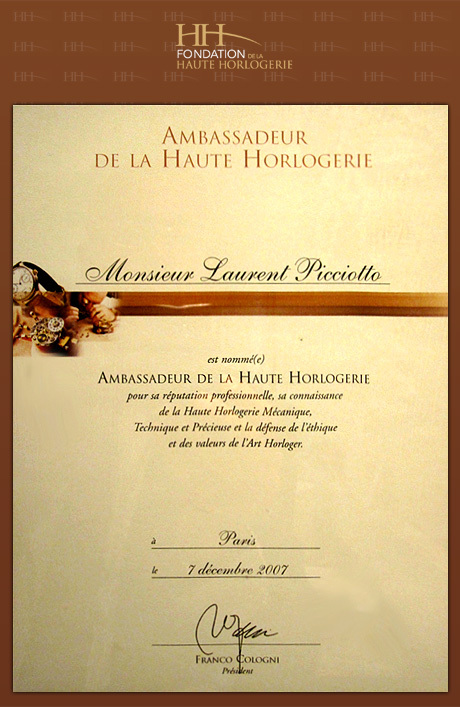 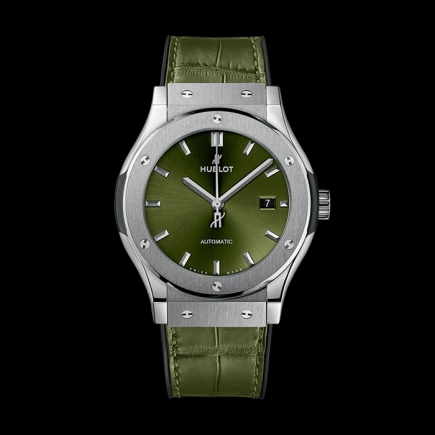 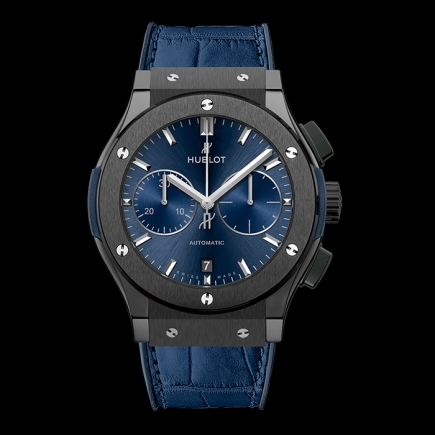 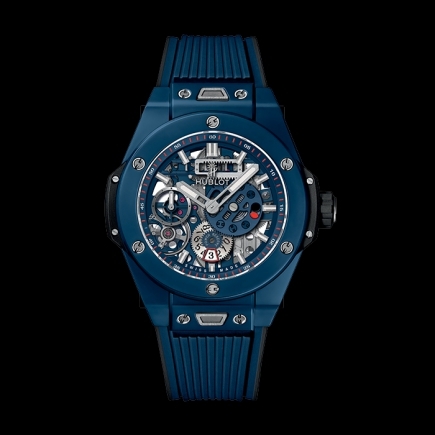 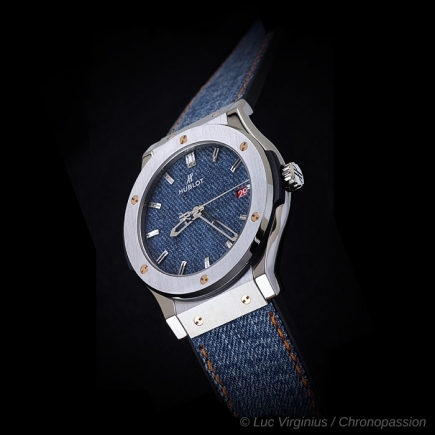 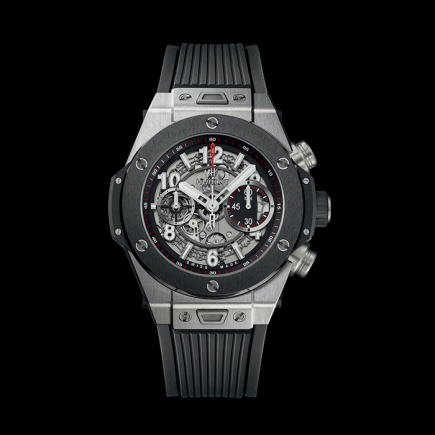 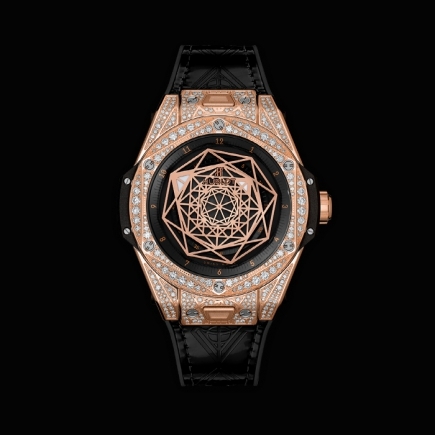 It is available in titanium and 18K King Gold, a particularly intensecolour of gold which is the result of a precious alloy developed by Hublot. 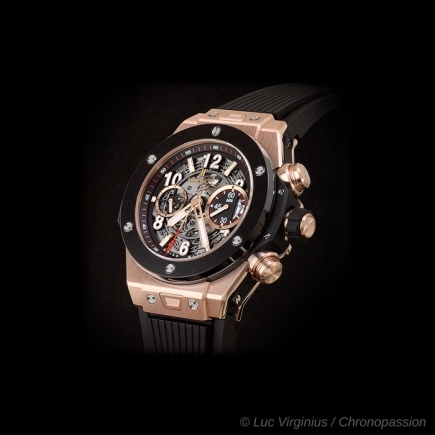 This colour isobtained by adding 5% platinum to the mass of melting gold, giving it a visual impact which is reinforced by the contrast with the black coating of the other components.